"The devotees of the Lord are always in the heart of the Lord, and the Lord is always in the hearts of the devotees. That is the sweet relation between the Lord and His devotees. Due to unalloyed love and devotion for the Lord, the devotees always see Him within themselves, and the Lord also, although He has nothing to do and nothing to aspire to, is always busy in attending to the welfare of His devotees. For the ordinary living beings the law of nature is there for all actions and reactions, but He is always anxious to put His devotees on the right path. The devotees, therefore, are under the direct care of the Lord. 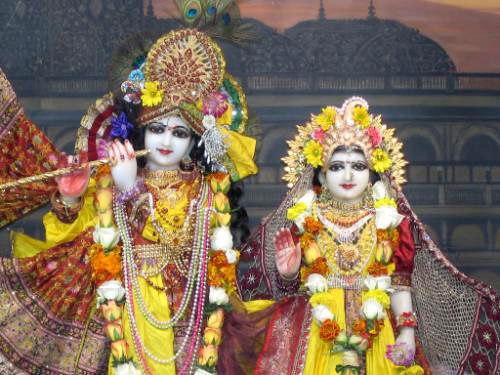 And the Lord also voluntarily puts Himself under the care of His devotees only."